^ Soho Cast-Iron Historic District Archived 2011年6月5日, at the Wayback Machine., National Park Service, n.d. Accessed 2011-03-26. 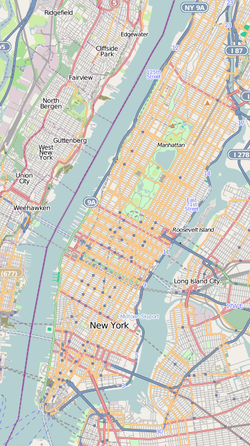 ^ New York City Landmarks Preservation Commission "SoHo-Cast Iron Historic District Extension Map"
^ Manhattan Bus Map, mta.info. Contains subway connections.